There is a prestige that comes with a fine wine. It is long sought after accolade that most winemakers can only dream about. A fine wine is a reflection of esteemed achievements from its given region. The elements within the wine form a sacred union where no single component is dominating. Everything lives in balanced harmony. At Wines Direct, we understand that quality is subjective, so we have worked hard to source the crème de la crème from various regions around the world. Olivier Jullien in Terasses du Larzac has a keen eye for excellence. Jullien’s wine is the go-to for winemakers of the Languedoc as it perpetuates the very essence of what it means to be a fine wine. The supremely balanced Syrah is a succulent homage to the high-calibre terroir Jullien so ferociously promotes for deserved recognition. Terroir is the pièce de résistance in Burgundy. Each parcel in Burgundy is completely unique, and each bottle from these vineyards can bring you on a journey. David Duband’s wines are meritorious examples of terroir in Burgundy. The same man, producing the same varietal, Pinot Noir, on five different parcels of Burgundian land, and not one wine is the same as another. Duband is a sensational vigneron producing some of the world’s finest wines. Bordeaux is almost synonymous with the term, “fine wine”, but almost to its detriment. Finding the haut monde of winemakers in Bordeaux can be quite challenging, as so many of the vineyards are owned by landlords who rarely visit. Our work has always been done with small, independent vineyards, and though Bordeaux presented us with a challenge, we were rewarded with Fracnois Mitjaville of Roc de Cambes and Chateau Tetre Roteboeuf. 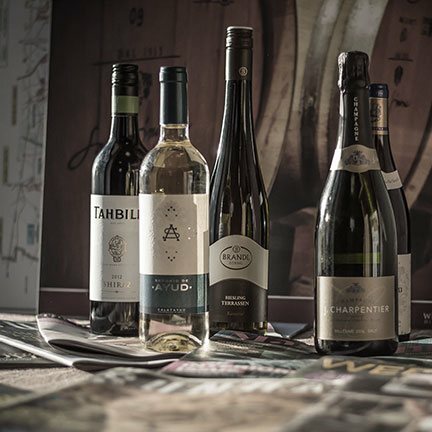 Wines with natural finesse and elegance, skilfully crafted by a Master in his game, these wines are the textbook definition of what it means to be a fine wine. At Wines Direct, our focus on the winemaker, and maintaining our strong relationships, means that we take their word when it comes to pricing. As a result our fine wines don’t succumb to over-inflation and are sold at the value the winemaker believes they are worth, which is a very rare happenstance in the world of wine. We know what it takes to make a wine fine, and we take great pleasure in sharing them with our customers, old and new. Quinta Do Crasto Reserva Old Vines. Antolini Amarone della Valpolicella Moropio.